The Manchester clubs are keeping a close eye on this MLS ace: A possible future superstar? Both the Manchester-based clubs are currently sitting pretty at the top of the table and there is very little to separate the two sides. And now, they even target the same players in the market. The latest such target being New York City FC’s midfield ace Jack Harrison. 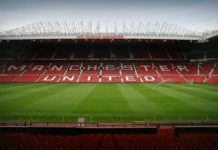 But in a bitter blow to United, City will have the first refusal to the winger’s move to United due to the club’s link with New York City FC. The young winger was called up to the England U-21 side for the first time this week as he has impressed in the MLS. He has closer links to Manchester United than City as he graduated from the Red Devil’s academy with Marcus Rashford and co four years ago before leaving the UK for the USA. “It’s sure to rub United up the wrong way after what happened to him as a kid. He’s having a great time over in the US. Harrison came through the United academy but decided to head to the US as a teenager with his family. He decided to try his luck in the MLS and he has been a revelation ever since. City could at some point, ask him to train with their squad so that manager Pep Guardiola can get a closer look at the winger. City signed Aaron Mooy last year from sister club Melbourne City FC in a similar deal. Mooy was later loaned off to Huddersfield Town where he was immensely influential in helping them secure promotion and the deal was made a permanent one for a fee of £10m. Jack Harrison forked out over $1,500 to get to England Under-21 duty on time after missing his flight from the USA. The New York City kid’s career has taken off this week, after being a surprise call-up for Aidy Boothroyd’s European Championship qualifying squad. But midfielder Harrison almost didn’t make it, having dashed from City’s latest Major League Soccer game in Chicago on Sunday, back to Manhattan — where traffic delayed his departure that night. Harrison admitted: “I missed the flight. I tried to contact someone at the FA but it was in the middle of the night. “I decided to book the first flight out on Monday morning. I left New York at 8 am on Monday and arrived here (St George’s Park) at 10:30 pm on Monday night. I’m still trying to figure the time difference out! It has been a doubly unusual journey to get to the England camp for Harrison. He added: “I was 13 when my mum came up with the idea of me going to boarding school in America to improve my education while I played football. It was just a backup plan if anything went wrong in football. “I got a scholarship at the Berkshire School in Sheffield, Massachusetts. I then went to Wake Forest University but was only there six months before I got drafted by Chicago. New York then traded up to get me, and this is my second season playing professionally for them. “I was at Manchester United from the age of six to 14. Marcus Rashford was a year below — but he always played a year above. 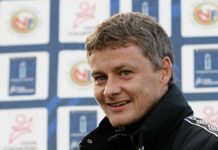 “I was really apprehensive and didn’t want to leave United. Everyone in that system is just tunnel-visioned and just thinking about making it to the first team but a lot of players don’t. He now earns $130,000 a year and is increasingly influential in MLS. He is mentored by team-mate David Villa, and the former Barcelona striker calls him “Goldenboy”. “It started last year when I recovered from injury and came back with a few goals and some assists. Everyone started calling me Golden Boy and David Villa put it out on Twitter,” explained Harrison. “My top three influences are team-mates — Andrea Pirlo, David Villa and [now retired ex-City star] Frank Lampard, and having [Arsenal legend] Patrick Vieira as coach. He is hoping for an England debut against Scotland on Friday in Middlesbrough but is also eligible to play for the United States. Read: How successful is Juan Mata’s Common Goal project. Previous articleAttacking Midfielder opens door to return back to Stamford Bridge: Should Conte re-sign him?